Wolf Material Handling Systems has a proven track record in providing complete engineered material handling systems for electric utility fuel yards. Wolf has expertise in handling, coal, coke, wood waste, biomass, construction debris, and solid waste as a fuel source for boilers. 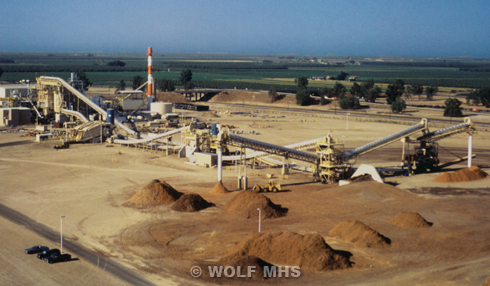 Wolf takes complete design and supply responsibility of the material handling system from fuel receiving through sizing, storage, reclaim and boiler feed. Wolf offers a Performance Guarantee on each system design.